n 1937 The Oversize was replaced with a streamlined version called the Senior Maxima (16 mm Wide, 139 mm Long). The unequal banded Senior met with an untimely death and was replaced with the Maxima, commonly known as the Slender Maxima, a more slender version of the Senior Maxima (14 mm Wide, 135 mm Long). 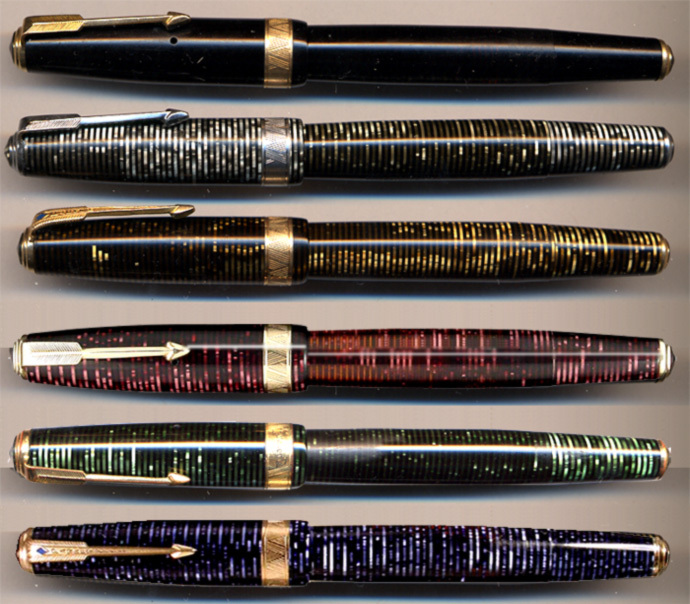 These pens sported a 5 millimeter wide cap band that initially had the very attractive engraving "VACUMATIC" in raised letters, these models are quite rare. Read more. 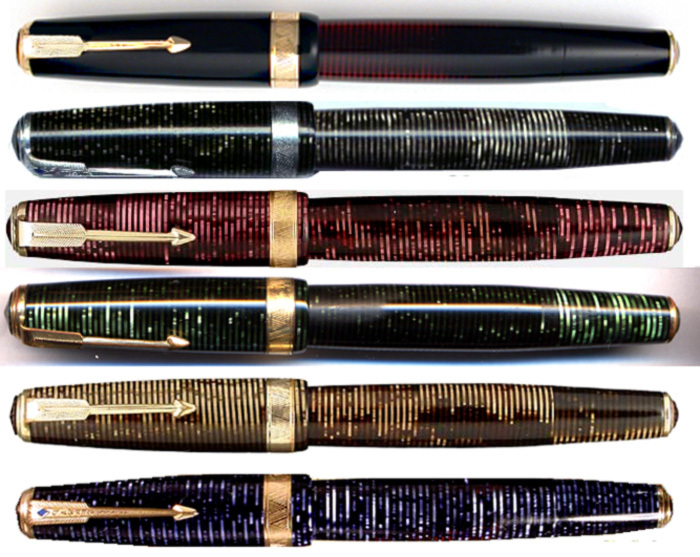 The Vacumatic-banded pens proved too expensive to produce so within 10 weeks or less the production ended and the cap bands instead sported a chevron pattern. in 1939 the new Blue Diamond clip was fitted to the models, a design that ensured lifetime guarantee for it's original owner. All sections, previously following the colour of the body, became black. Ditto for the clip- and tassie screws. In 1940 the Maxima was more appropriately renamed Slender Maxima. n 1941 the colour blue was introduced in 1942 the broad banded Senior Maxima and Slender Maxima was discontinued. The Senior Maxima did however survive but was redesigned with a plastic filler rod and a rounded blind cap. 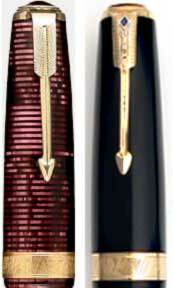 Mostly referred to as the Single jewel Senior Maxima. and the Blue Diamond clip (1939-1948).